Apache Packs provide enhanced visibility into Apache access and error logs with saved queries, real-time alerting and dashboards. This Pack for Apache Server uses Logentries Automated Log Parsing functionality to extract values from the Combined Apache Log Format. These values are exposed in visualisations available as dashboard items. It also includes some key alerts based on 404 error count and tracking unauthorized access attempts. Saved Queries: Queries that you can reuse to quickly get visibility into key metrics such as 404 counts, 404 distributions over URLs, and bytes requested. Dashboards: A dashboard with charts giving visibility into 404 error distribution, page request distribution, total bytes requested over time etc. 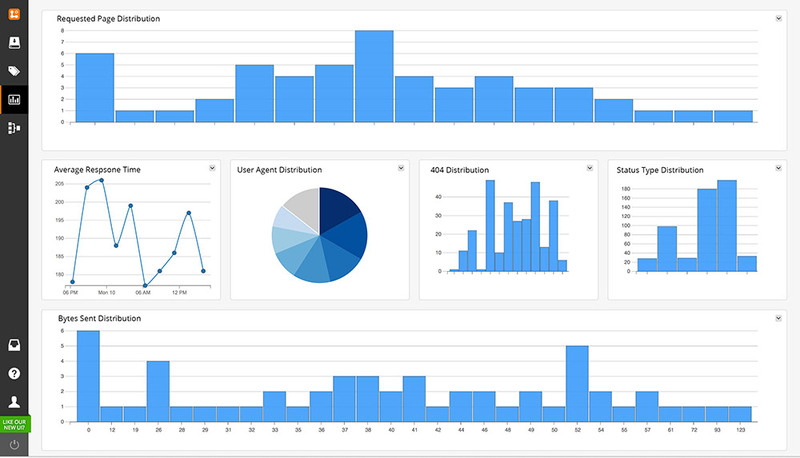 The Pack for Apache Web Server Monitoring extracts key points of interest from your web logs and exposes these in visualisations available as dashboard items. It also includes some key alerts based on response time, 404 error count and also tracking unique visitors now vs the same time last week. This pack requires your Apache logs to be formatted in JSON, see the requirements section below. Saved Queries: Queries that you can reuse to quickly get visibility into key metrics such as 404 counts, 404 distributions over URLs, browser type distribution, and URL request distribution. 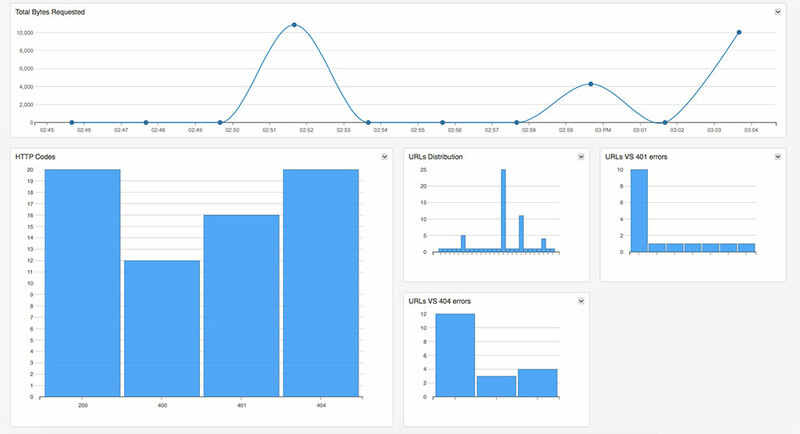 Dashboards: A dashboard with charts giving visibility into 404 error distribution, page request distribution, total bytes requested over time, unique user counts etc.